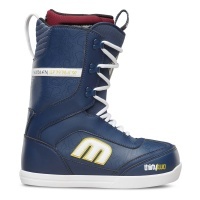 Since 1995 ThirtyTwo has been pushing snowboard footwear technology to the next level. 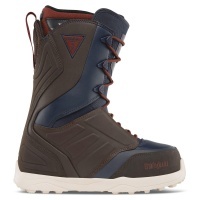 Lightweight tough and super comfortable are what we always hear from our customers, there is a perfect ThirtyTwo boot for all types of terrain, from city handrails to powder days in the backcountry. 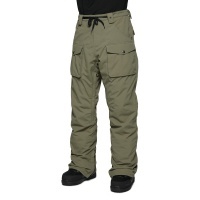 Tired of getting snow down your pants? want to stay warm and have a lot of pockets?The basement bib in classic black has you covered, so look no further! 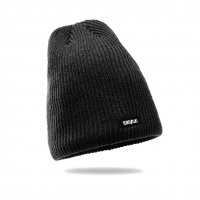 A classic standard fit beanie from Thirty Two. 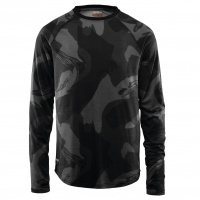 Ultra soft and comfortable while keeping you warm and dry! 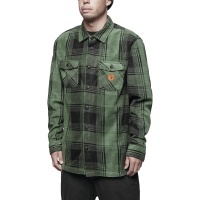 The Filter Polar Fleece features 32 repel treated fabric and a sweet vintage print! 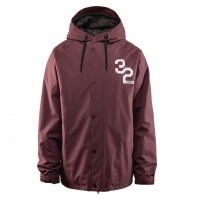 Your every day shell jacket to keep you dry and breathable no matter how hard you shred, the Thirty Two Grasser has got you covered. 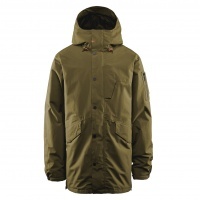 The Knox is a mid length 10k shell jacket from Thirty Two. 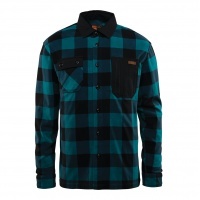 Inspired with military styling and in cool blue colour. 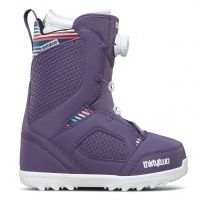 It is packed with features, Perfect for Park or Pow. 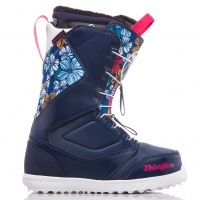 Our most popular boot, our favourite colourway. 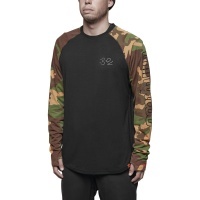 This season Thirty Two Lashed is back and damn it looks soo good! The worlds #1 selling boot is back again this year and it is better than ever. 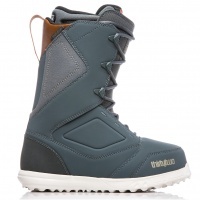 The Thirty Two Lashed Boots Bradshaw version has great styling, performance and durability. 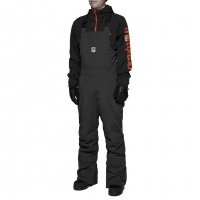 Featuring all the pockets you will ever need and all the necessities for even the most heavy conditions on the mountain. The Lodger Jacket is here to stay! 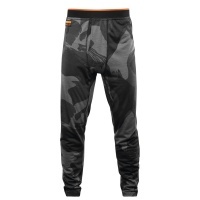 Skate inspired Mantra Fatigue pant from Thirty Two. 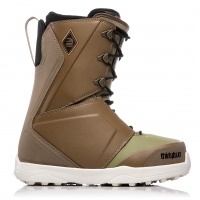 With 10k/10k waterproofing these will keep you dry, comfortable and stylish on the mountain. 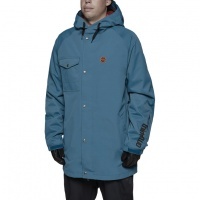 What is better than a Thirty Two Snowboard Jacket? 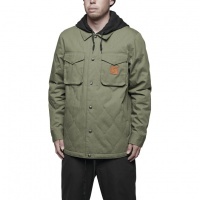 Who about a Thirty Two and Santa Cruz Colab Snowboard Jacket! 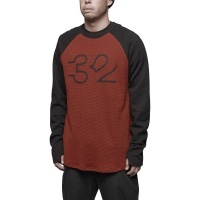 A classic 32 print design with thermal waffle knit raglan sleeves. 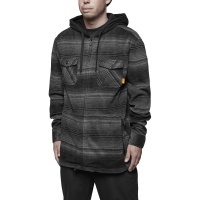 Repel treated fabric keeps you warm and dry all day long! Everyone should have one of these, possibly the best addition to your daily layering especially for those colder conditions! Water resistant, warm and super soft! 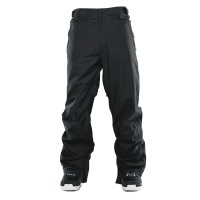 Thirty twos super lightweight, warm and comfortable base layer all in the form of a four way stretch long john pant! Four way stretch and built for ultimate rider mobility and warmth. 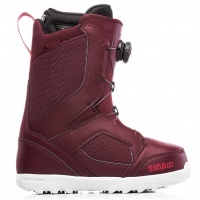 The Thirty Two Ridelite should be at the top of any riders list this winter. For the softer and more forgiving all mountain riders or those who like to dabble in the park the Thirty Two Zephyr is your point of call for support in a soft flex! Tired of getting snow down your pants? 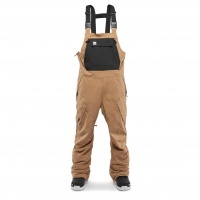 want to stay warm and have a lot of pockets?The basement bib in classic brown has you covered, so look no further! 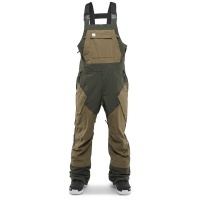 Tired of getting snow down your pants? want to stay warm and have a lot of pockets?The basement bib in Military has you covered, so look no further! 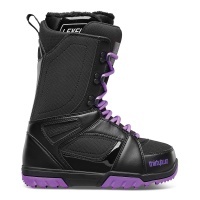 These Thirtytwo Lo-Cut boots started it all, it is now making a comeback complete with new features and innovations ready to take on today’s snowboarding. 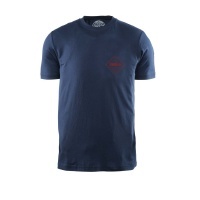 The Stockade T-shirt in indigo by Thirtytwo. 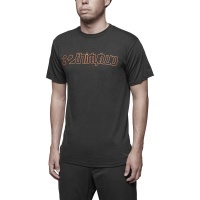 100% cotton high quality t-shirt, represent the brand while looking good.